Earlier this year, Brooklyn label Captured Tracks entered an official partnership with iconic Kiwi pop label Flying Nun to reissue choice slabs from the New Zealand imprint's storied back catalogue. While we've already got some reissues from Chris Knox's Toy Love, a pair of platters from the Bats and Snapper are set to drop this Record Store Day (April 20). Snapper's self-titled debut EP was originally issued through Flying Nun in 1988 and, according to a press release, the 12-inch quickly went out of print. In 1992, it received a CD re-release. Lead by Peter Gutterdige (the Clean, the Chills and the Great Unwashed), the Dunedin outfit made "dense, dark and spaced-out pop jams," with this four-song debut kicking off with the hypnotic, organ-driven post-punk jam "Buddy." You can check the song out in the video down below. 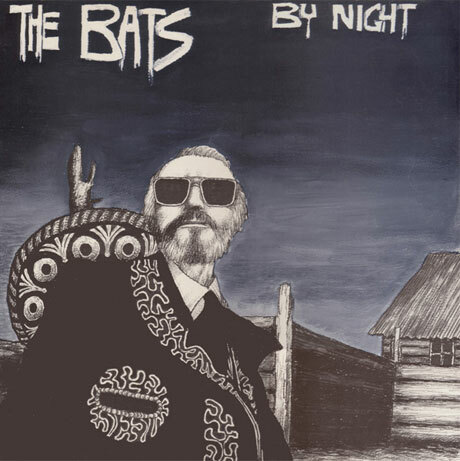 Also being offered up on Record Store Day is jangly Kiwi pop unit the Bats' debut EP By Night. The record came out in 1984, two years after Robert Scott (the Clean), Paul Keane (Toy Love), Kaye Woodward and Malcolm Grant got together to launch the project, which continues to this day. The newly pressed By Night is "an exact facsimile of the original." You can stream the title track beneath the Snapper vid. The Bats' last LP was 2011's Free All Monsters. For a fuller list of all of the Record Store Day goodies that have been reported so far, click here.